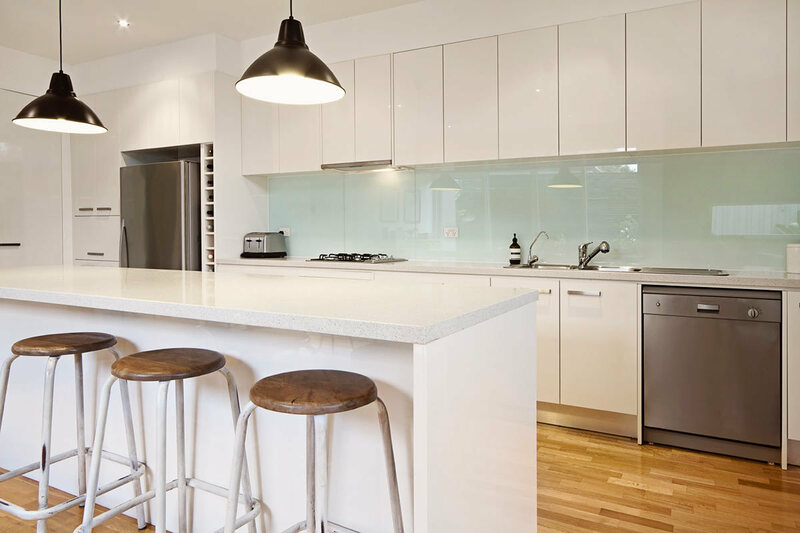 In this series of articles, we’re examining the pros and cons of kitchen countertops, from wood to concrete to laminates to Corian to glass to good old Formica. 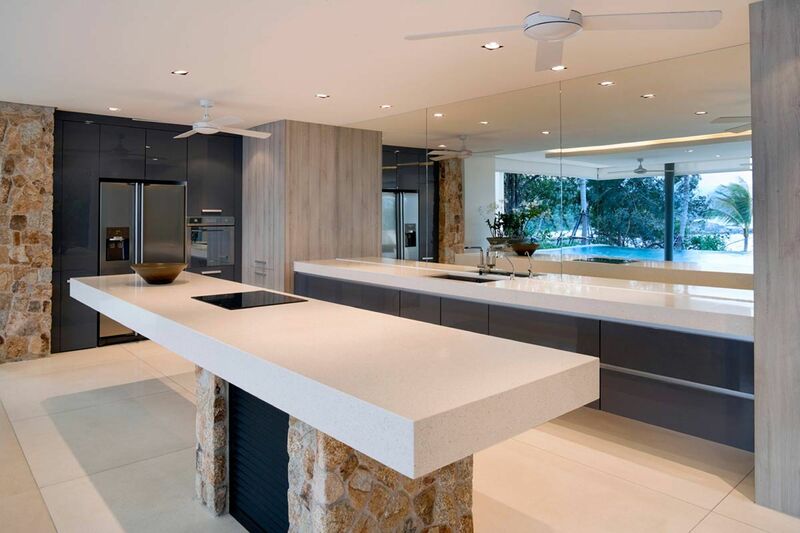 In previous articles we’ve covered natural stone like granite and marble, so at the end of this short series you should have a good basic knowledge of which countertops will work for your kitchen. I went into an open house a few weeks ago—I love looking at homes, even when I’m not buying—and saw a pretty nice kitchen ruined by a poorly-maintained butcher block countertop. The homeowners had obviously done a fairly elaborate (and expensive) remodel, installing new cabinetry and the latest in hundred-burner industrial stove technology. (Just kidding—it probably only had eight burners.) But they made two major mistakes—they used butcher block countertops next to a sink, and they clearly didn’t maintain the wood. When you don’t regularly sand and oil unsealed butcher block countertops, they tend to turn dull and grey. This makes the wood look dead. Sometimes it can get so lifeless it cracks, and this butcher block had several fissures in its grain already. Wood next to the sink can turn an ugly, diseased-looking black, when symptoms of discoloration and rot set in. Wood counters near a sink will require special care and attention to prevent this from happening. Duh—it’s wood, and wood burns. Set a hot pan on it without a trivet or some other kind of insulator, and you’ll immediately have a nicely-blackened ring of fire, to quote Johnny Cash. So those are the butcher block cons: high-maintenance, doesn’t mix well with water, tends to show every knife and burn mark. Caveat: some people like the patina that wood develops over time, and believe that a scarred butcher block looks authentic and homey. It’s actually pretty durable (especially the end-grain type, which shows the growth rings of the tree the wood came from), and it can last a long time if you maintain it with the proper oil at the right intervals. Butcher block is repairable, unlike most other countertop materials—if you get a boo-boo that’s not too deep, you can sand it out and re-oil. Wood is quiet—it won’t clatter or ring like a bell when you set a dish or a glass down. And of course it’s an organic, renewable, green product. Wood naturally repels bacteria and microbes. If you’re handy, you can cut it, fit it and install it yourself, without the special saws and tools required for other countertop materials. 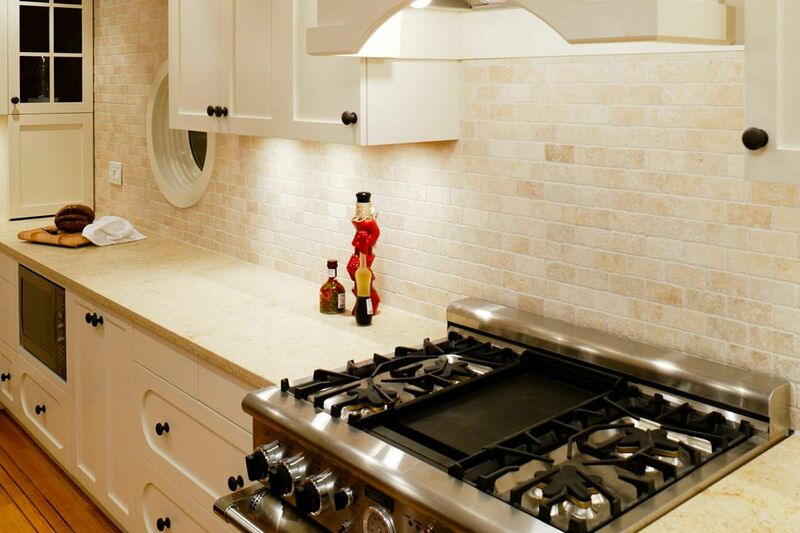 If you do decide to install a butcher block countertop in your kitchen, choose the best grade you can afford: edge grain is the least expensive and the most vulnerable to nicks and bruises; flat grain has wider planks and is usually a little more expensive; and end grain, already mentioned above, costs the most and lasts the longest. Always use unsealed hardwood for butcher block—putting a coating of varnish or polyurethane defeats the entire purpose. Sealants aren’t good for food preparation, and they show knife marks instantly. If you insist on using butcher block sink-adjacent, you’ll need to seal that portion, however. Buy the hardest wood you can find—maple is probably the toughest readily-available choice—and enjoy! 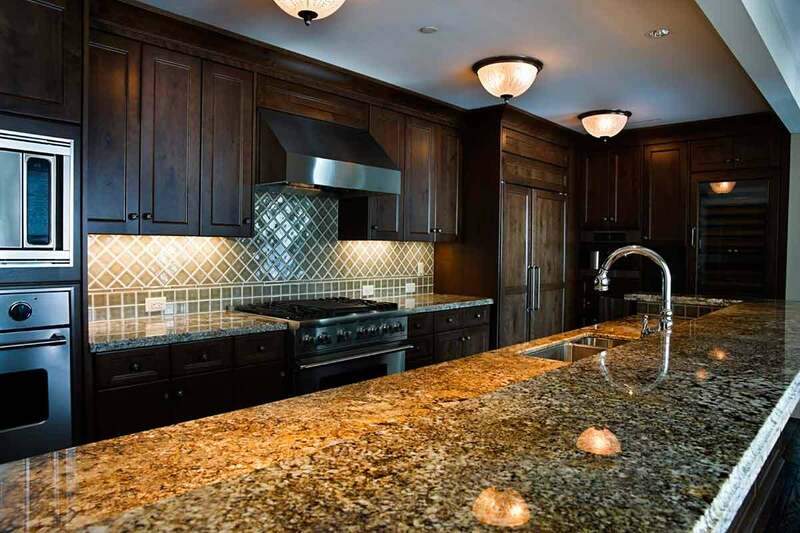 Granite Countertops: Is Granite a Kitchen Cliché?